Chekhov’s gun is a literary technique in which any object given a special significance within a story has to be used at some later point. The technique comes from Anton Chekhov, who explained that a pistol hung on a wall in the first act of the play should be used at some time later in the story. If the gun isn’t used, then it serves no purpose and is a mere distraction — unless it is meant to be a red herring. The ideal situation for Chekhov’s gun is one in which the object is noted but partially forgotten in the first instance, and then becomes relevant later in the story. The biggest misconception about Chekhov’s gun is that it is equivalent to foreshadowing. Foreshadowing is where the writer leaves little clues about future events in the narrative, which are more clearly understood after the event is known. 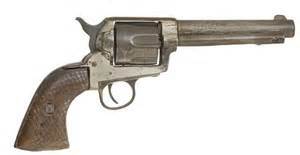 Chekhov’s gun relates more to removing extraneous information and descriptions than layering clues in for the reader. If a loaded gun is described in the first act and never fired, there is no need to describe the gun at all, because it is irrelevant.